LGBT History Month 2019 – What’s going on? 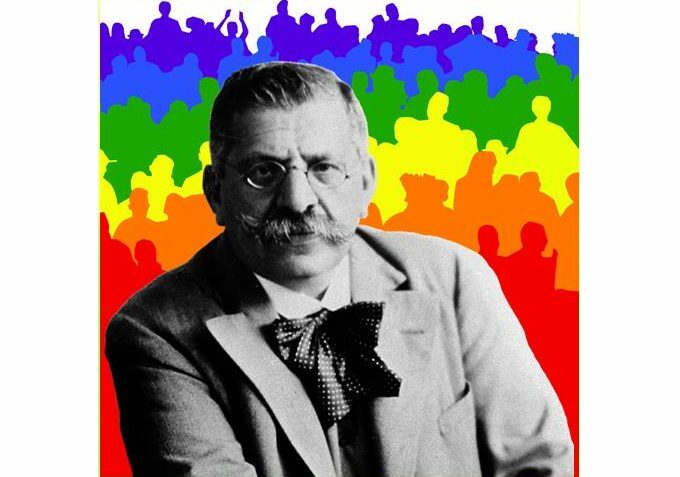 It’s nearly February and the Library and Learning Resources team will be proudly supporting and celebrating LGBT History Month. This year the event is looking at the history of the LGBT community with a focus on peace, reconciliation and activism. 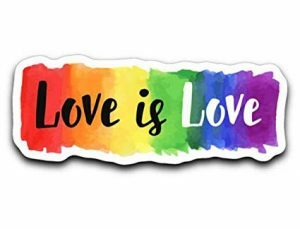 So how are we celebrating LGBT History Month 2019 across our Libraries? 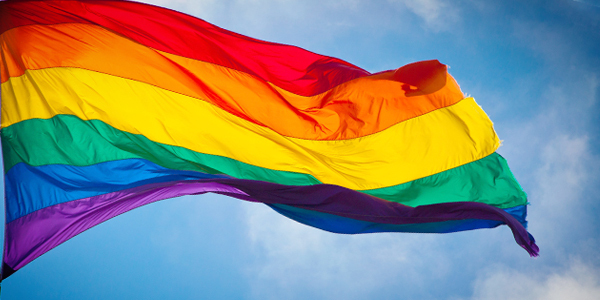 On Friday 1st February 2019 (11:00 am) – The University will be launching the celebration of the LGBT History Month with the raising or our very own Rainbow Flag outside Augustine House. 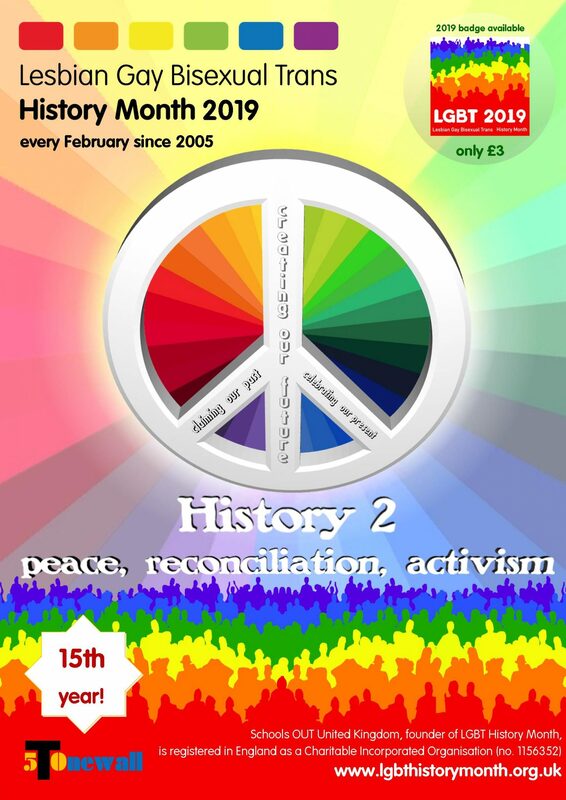 Augustine house Library will be displaying a selection of resources, display boards and an electronic presentation with relation to this years themes and faces. This can be located next to the box office in the Atrium. 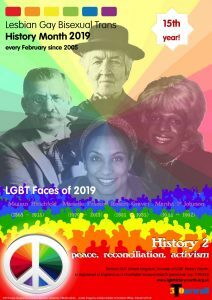 Salomons Library will have a display board highlighting a range of LGBT resources that can be found in the library. 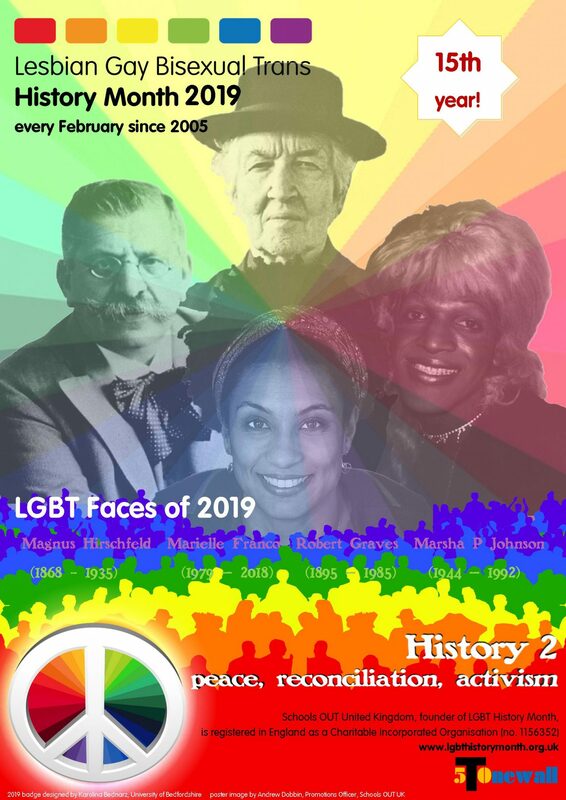 There will be a series of blogs depicting the faces of LGBTHM 2019 that will be released on the library blog page every Monday. 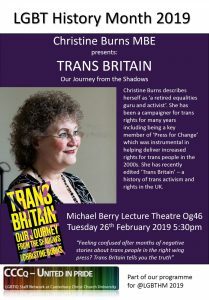 Find out about their lives, their work and their LGBT connections. 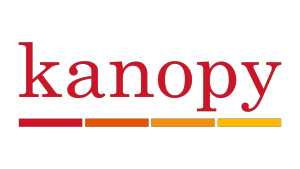 Links to library resources will also be provided for those that would like to know more. 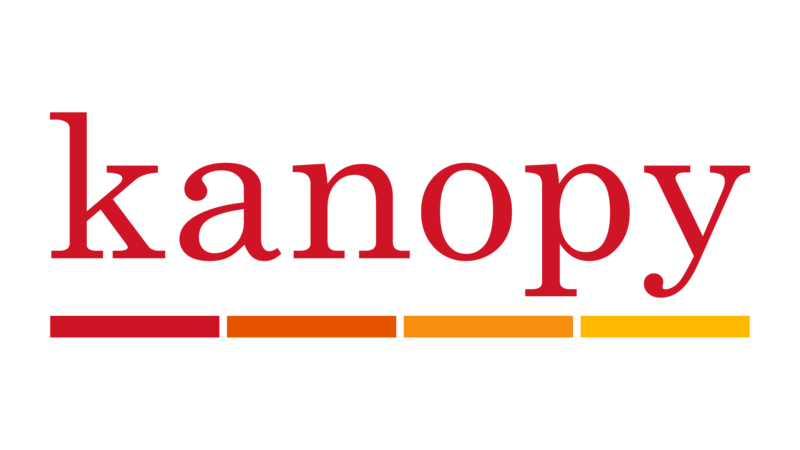 Keep an eye on the library twitter feed (@ccculibrary); each day a film or documentary will be recommended that everyone can access via BoB (Box of Broadcasts) or Kanopy. Many of these will relate to the topics of peace, reconciliation and activism, but some classics of LGBT cinema will be included too. What else is happening at the University? 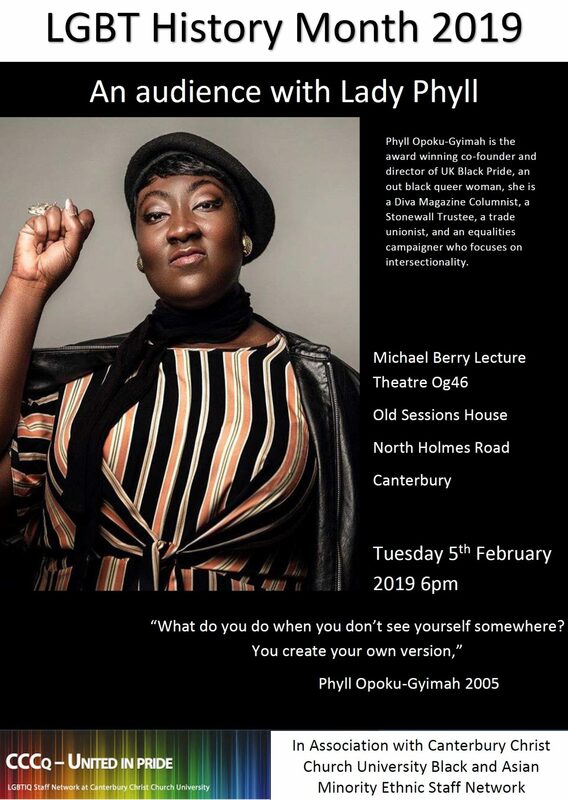 Launching on Thursday 14th February (4pm) – LGBT+ Role Models Exhibition ‘Out and Proud’ (Drill Hall Library – Medway) – aims to highlight the diverse experiences of staff on our campuses who share their stories to show the realities of being a queer person. From coming out stories to awkward conversations and incidences of discrimination and harassment, the exhibition is an honest representation of real people, from the harsh realities to the wonderful acts of solidarity and humanity. So come join us and show your support for LGBT History Month 2019 through many of the great events being held. Hello. I am planning to put a zine together for LGBT month. 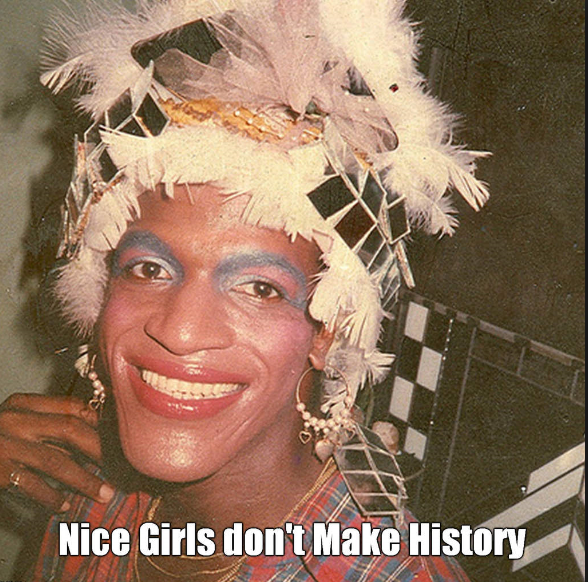 I am looking to find out about LGBT local history – do you have any recommended starting points? Hi Nina – sorry I’ve only just spotted your comment. 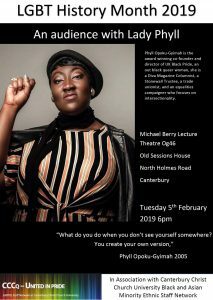 You could try contacting our colleagues at INCISE https://www.canterbury.ac.uk/arts-and-humanities/incise/incise.aspx. You’ll be able to find some journal resources through LibrarySearch but I’m finding at lot for London rather than Kent. Historic England’s “Pride of Place” website https://historicengland.org.uk/research/inclusive-heritage/lgbtq-heritage-project/ holds a couple of interesting local stories and has an active social media. There maybe some local LGBT groups you could reach out to. You can always contact our Learning & Research librarians for more support https://www.canterbury.ac.uk/library/contact-us/subject-enquiries/subject-enquiries.aspx. Good luck with the zine!